They say practice makes perfect, but for Beezie Madden and Darry Lou a two-month break from the show ring was just what the stallion needed to come out guns a-blazin’ in the $209,000 Great American CSI4* Grand Prix at the Winter Equestrian Festival. Madden’s home stable in Cazanovia, New York, is host to a field of her famous and furry retirees (Cortes and Authentic, to name a couple. You can also find McLain Ward’s retirees HH Carlos Z and Rothchild there), and during the winter her competitive string often joins them for a long break. Beezie Madden and Darry Lou flying through the timers. 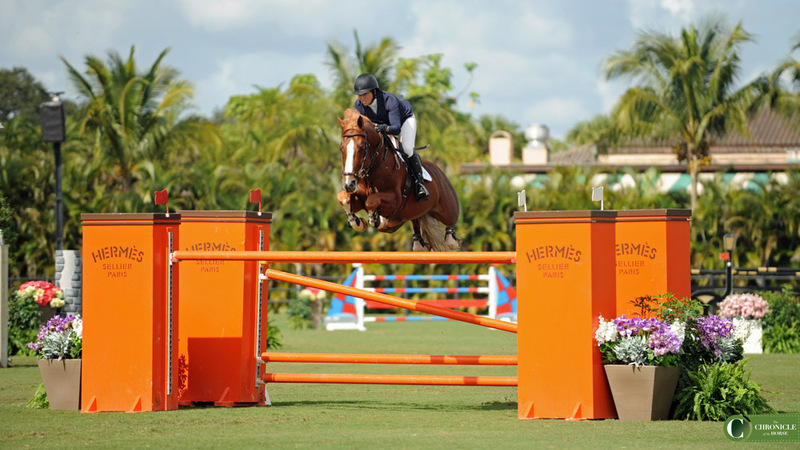 Madden took the horse in a couple of 1.30-meter warm-up classes mid-January, but today was their first big grand prix in nearly three months. The class was certainly no gimme—McLain Ward took second to Madden aboard Tradition De La Roque and Kent Farrington galloped up in third on Gazelle. Madden had the advantage of going last in the jump-off and outran them both by less than a second. Beezie Madden and Darry Lou. Ward agrees—Madden won the class in that space between the first two fences in the jump-off. 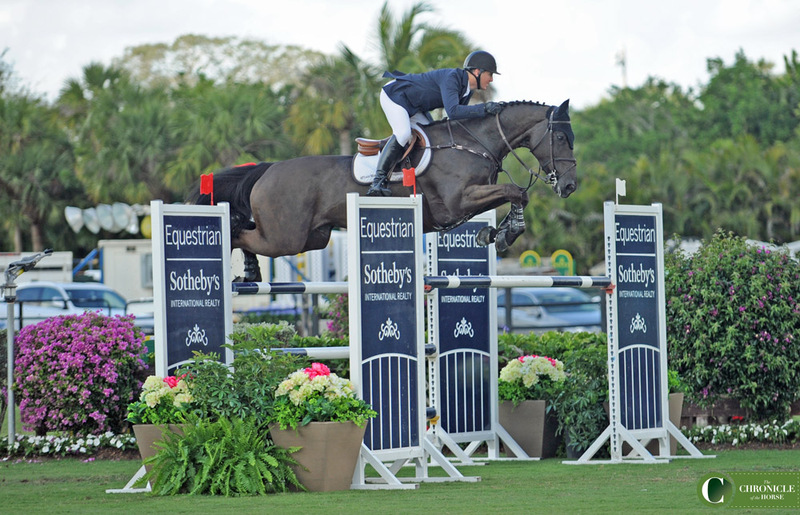 McLain Ward and Tradition De La Roque took second. Farrington feels he lost his edge on the class with the amount of time Gazelle spent in the air in the jump-off, and the photos certainly back him up. Talk about air time! 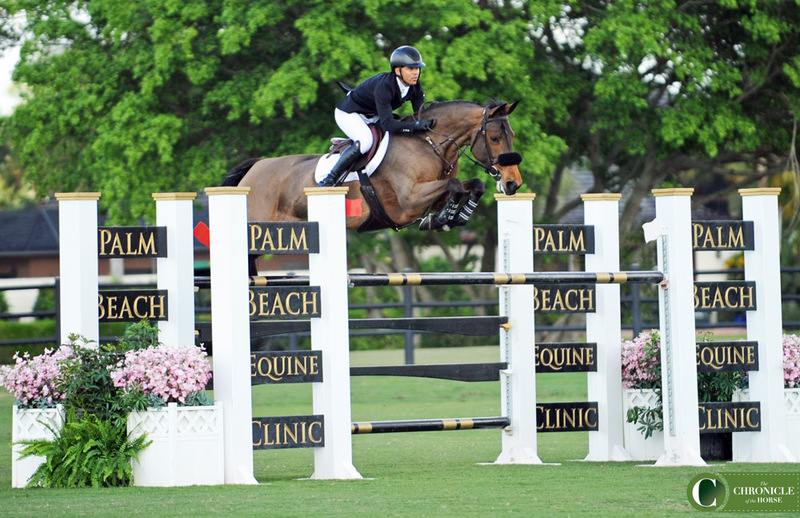 Kent Farrington and Gazelle.